Fun and easy – Kenoland has a draw every 4 minutes! 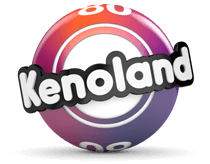 Fun and easy – Kenoland has a draw every 4 minutes. Instead of entering the official draw, you place a bet on the outcome of the New York Keno (Quick Draw). Pick your numbers and wait to see how many you match in the Kenoland draw. There are 80 numbers available, from which 20 will be drawn. There's also a Heads or Tails bet where you can double or quadruple your money! Choose from 1-10 numbers for each bet. You can pick them individually or use a 'quickpicks' button to pick them for you. Choose how many draws you want to enter and select your stake. 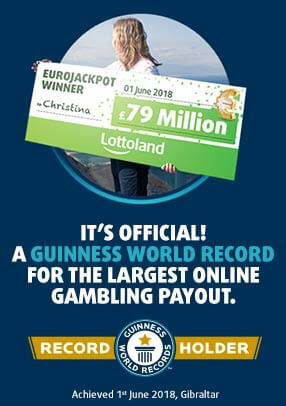 Choose whether to add on a Heads or Tails bet – or you can make a head or tails bet on its own. Do you think the Kenoland numbers will be in the first half of the grid, the second half – or evenly split between them? Choose which you think it will be to double or quadruple your bet!